Subscribe online to The Telegraph newspaper. The public will get a look today at proposed routes for a four-lane highway that could zip traffic from east Macon to Monroe County and relieve a bottleneck on Gray Highway. The cross-county connector is at least 10 years from completion and likely would cost between $65 million and $80 million in today's dollars, said Matthew Fowler, who is overseeing the project for the Georgia Department of Transportation. Fowler said if the public and local officials support the project, it will be added to the department's long-range wish list. The first phase of the project, completed in April, identified a need for the new road. The second phase, which includes public input, is expected to be finished in about a month, Fowler said. Eight variations of the road will be presented today, including one that would cut through Bowden Golf Course. • All intersect U.S. 80 between Irwinton Highway and Ocmulgee East Boulevard. • All intersect Gray Highway between Creekside Drive and Wheeler Road. • Would create a new Interstate 75 interchange at Riverside Drive, Bass Road, Interstate 475 or Rumble Road. The goal is primarily to relieve traffic on Gray Highway, Fowler said. The section of the highway just north of Interstate 16 carried an average of 47,743 vehicles a day in 2002, which drops to fewer than 25,000 traveling the road near the city of Gray, according to the Phase I report. 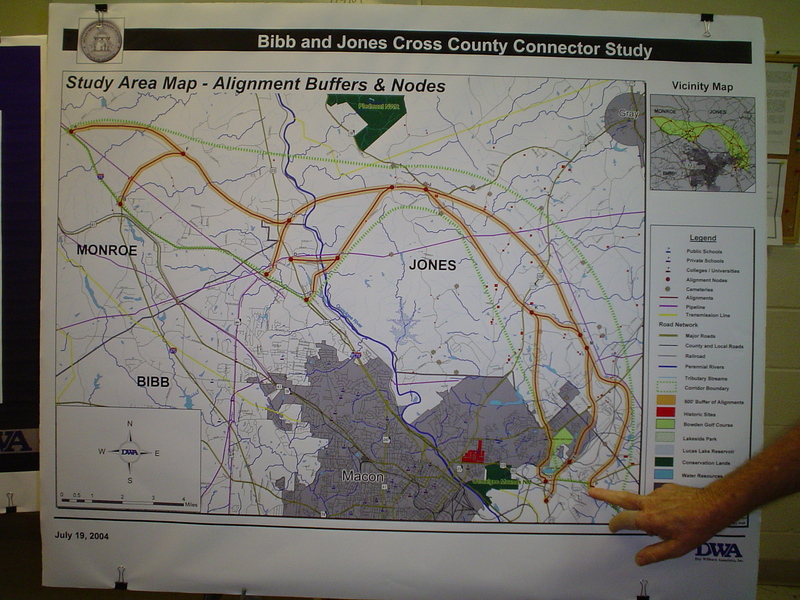 Jones County Commission Chairman Butch Moore said he supports the connector because it would relieve a congested area and spawn businesses at intersections. But he said the idea of a connector has been around for more than 20 years. The longer it takes to build, the greater the possibility it will conflict with area development, he said. In addition to public input, Fowler said, the department considers environmental impact and tries to avoid historic resources, wetlands, churches and other community resources. At least one area church is interested in the possible connector. "I think anytime we can ease the road situation and you make it easier for people to come to church, we like it," said associate pastor Norm Yukers of Mabel White Memorial Baptist Church. "Unless it's going to have any (negative) impact on the community." Yukers said at least 10 percent of the Bass Road church's membership lives in Jones County. 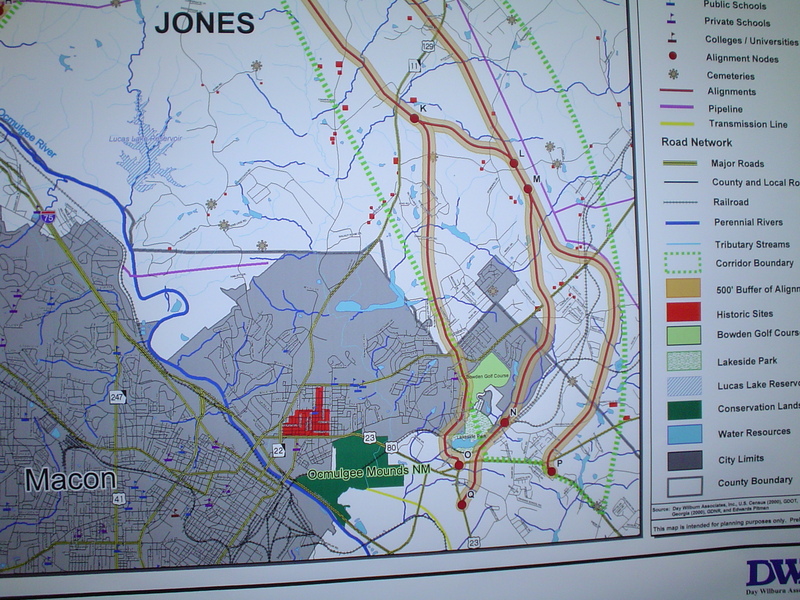 One member is Commissioner Al Andrews, who represents the area in southeast Jones County that likely would be most affected by the new highway. "There are certainly route options I prefer over other routes, but I am in support of the concept," Andrews said via e-mail. "It will open a new growth corridor and will help our citizens get in and out of the county." Andrews said most of those who have discussed the connector with him are excited about it. Commissioner Larry Childs said the traffic generated by the connector could be an economic engine, but it could also cause problems. 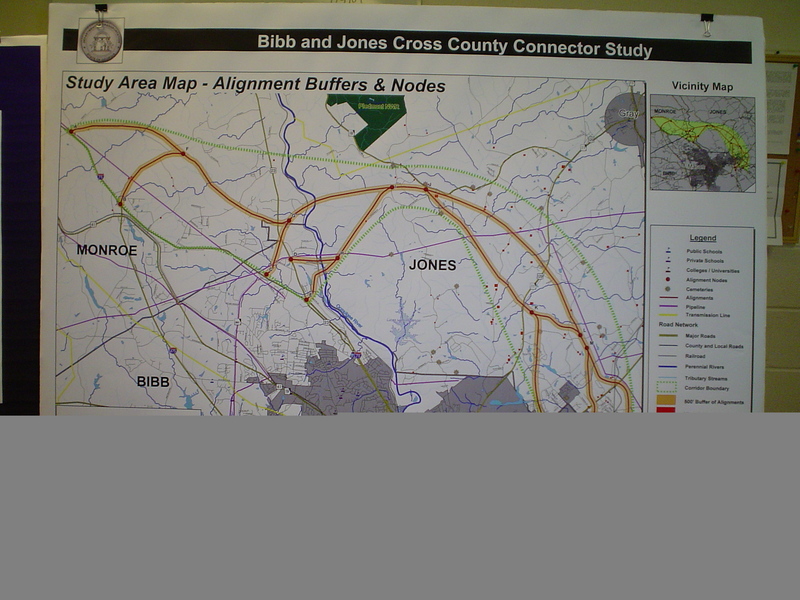 "I can see some benefits," said Childs, who represents southwestern Jones County and is a member of Macon Area Transportation Study Committee. "It's a little early for me to tell you 'yes' or 'no' real strong." Paul Harmon, who has owned Circle Package on Gray Highway for about 25 years, also isn't sure about the connector. "I think another road ... would be a benefit to the businesses," he said. Harmon said traffic makes it difficult for customers to access his store. But he said the traffic increases visibility and provides more potential customers. "It's kind of a toss-up," he said. To contact Gray Beverley, call 744-4494 or e-mail gbeverley@macontel.com.